So, last Saturday night I was sitting on the couch half-comatose. Pamela was on the loveseat using my computer (the very one I’m using to write this), researching new computers to replace her horrible Dell notebook (she ended up with an Asus) and I was half-heartedly watching Bruce Willis and Tracy Morgan in Cop Out, chosen because it looked mindless and I needed mindless. Sunday we were to drive nearly two hours to our north to visit some friends and mindless viewing before sleeping into much-needed sleep was perfect. Spooky Southcoast is a radio show that is done on the local news-talk radio AM station on Saturday nights. They’d written about five years ago asking if I might want to partake in a horror writer roundtable. It never came to fruition (which was fine, believe me) and time passed. In January, with Alice on the Shelf out and Shadowed on its way, I figured, What the hell?, and sent them an email about the two novellas. January became February which became March and I hadn’t heard back. I wasn’t concerned by it. I tend to suffer from social anxiety and while the idea of being on the radio (or TV, or…) is pretty cool, I was on the line about it. So when the email came last weekend telling me that their original guests had had to cancel and would I be interested in going in at 10 PM, a little more than an hour after the email arrived, I was surprised, joyed, and terrified. Pamela threatened me with bodily harm if I said no. I said yes and called the gentleman who books the show, Chris Balzano. He was very pleasant and we spoke for about fifteen minutes. Long story short, last Saturday night I was on Spooky Southcoast. I had a blast doing the show. Tim Weisberg, the host, is a fellow mutant. His love for the horror genre and things that go bump in the night (or day) is contagious. This is a guy who I feel like I could just sit down with and spend hours talking about everything from the intricacies of Stephen King’s Dark Tower books, minutiae regarding Lost, to Freddy Krueger and the rest. Co-host, scientist, and man of wit, Matt Monizwas very kind and also great to talk to. The “Silent Assassin,” Matt Costa, who is called a co-host on the website but whom hardly spoke, was friendly, though quiet. He reminded me of Fred Norris from The Howard Stern Show. The quiet dude sitting in the background, making sure the audio is good, providing music when needed, and letting the host know when a commercial break is due. I had a good time with these three and was told they had a good time with me. While it’s done out of the local studios of WBSM 1420 (as well as the local pop station, WFHN, Fun 107), Spooky Southcoast streams live online. So while the show tends to focus on the Southcoast of Massachusetts, it’s really a national–hell, international–show. The show is available online now. You can download a podcast version on iTunes and you can also view the show at this link. I’m told I was good on the show and Tim, Matt, and Matt gave me an open invitation to the show. So, without further delay, Spooky Southcoast from March 19th, 2011. Let me know how you liked it. 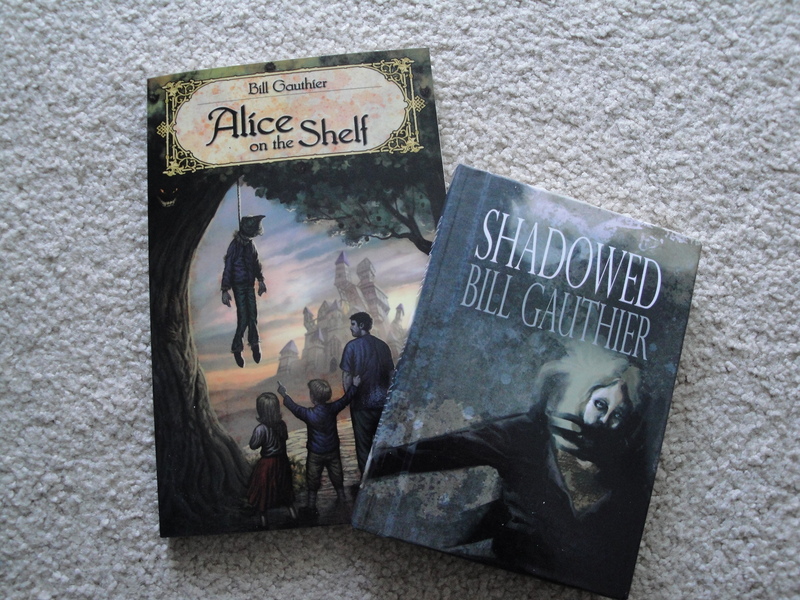 Posted on March 27, 2011, in Alice on the Shelf, Books, Outings, Shadowed, Uncategorized. Bookmark the permalink. Leave a comment.